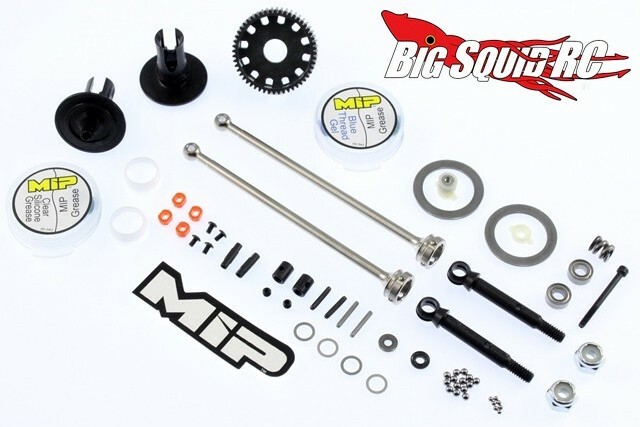 MIP Pucks Shiny Drive System for Associated SC10/T4 « Big Squid RC – RC Car and Truck News, Reviews, Videos, and More! For all you guys running big power in your Associated SC10 or T4, the crew over at MIP have announced their new Pucks Shiny Drive System for your truck. This set includes a ball diff, but more importantly, includes MIP Pucks for the drive shafts. The Puck system helps keep your drivetrain fresh by not constantly wearing out the outdrives, as well as helping to produce quicker acceleration. The part number is #14215, the street price is $95, and you can get more details at This Link over on MIP’s website. Click Here for more MIP news on BigSquidRC.